The modern battlefield has become a complex theater of threats, from powerful anti-armor and anti-aircraft missiles to the dawn of small but lethal unmanned aircraft. The Army and Marine Corps know these threats are not just in the hands of organized armies, but have proliferated and will be a part of any potential future conflict the U.S. military faces. To counter these threats, a major modernization effort to incorporate defensive protection systems on aircraft and ground vehicles is underway. One of the first modernization programs the U.S. Army has undertaken is upgrading a number of brigades of M1A2 main battle tanks with Active Protection Systems (APS) to counter increasingly lethal anti-armor threats on the battlefield. 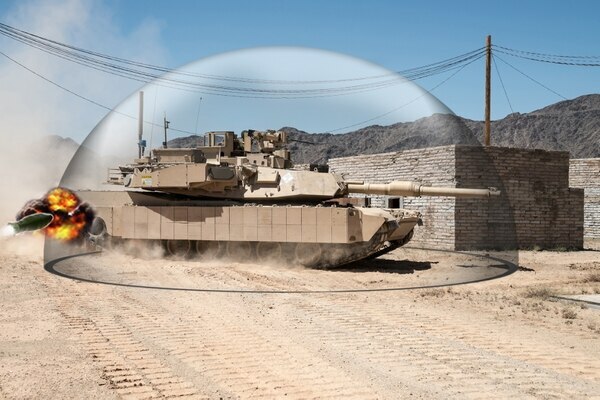 APS is ground-breaking defensive technology that automatically detects and neutralizes incoming threat projectiles before they reach a target, casting a protective field around the vehicle through which RPGs and guided missiles cannot penetrate. Leonardo DRS provides the Army with Trophy APS, the only operationally and combat-proven system available. As potential enemies expand their inventories of small unmanned aerial systems (UAS), Leonardo DRS also provides the U.S military with vehicle-mounted options designed to target both medium and small UAS threats. The company’s Initial Maneuver Short-Range Air Defense equipment package, when integrated on the Stryker A1 platform, will provide maneuver Brigade Combat Teams with a full “detect-identify-track-defeat” capability required to defeat UAS, rotary-wing and fixed-wing threats. New state-of-the-art ground combat networking technology will increase situational awareness in future conflicts. The Mounted Family of Computer Systems II (MFoCS II) computing hardware, which operates the next-generation blue force tracking software and many other combat applications, is a more powerful and updated system than its predecessor. The U.S. Army will soon be incorporating these systems in tactical ground combat vehicles in the U.S. Army and Marine Corps fleets. MFoCS II, developed by Leonardo DRS, enables the next generation of computing and display technology with faster processing speeds, multi-function and applications capabilities. The need for troops to have access to most state-of-the-art EO/IR technologies mounted on vehicles, helmets or handheld is essential to keep the edge over increasingly advanced adversaries around the world. 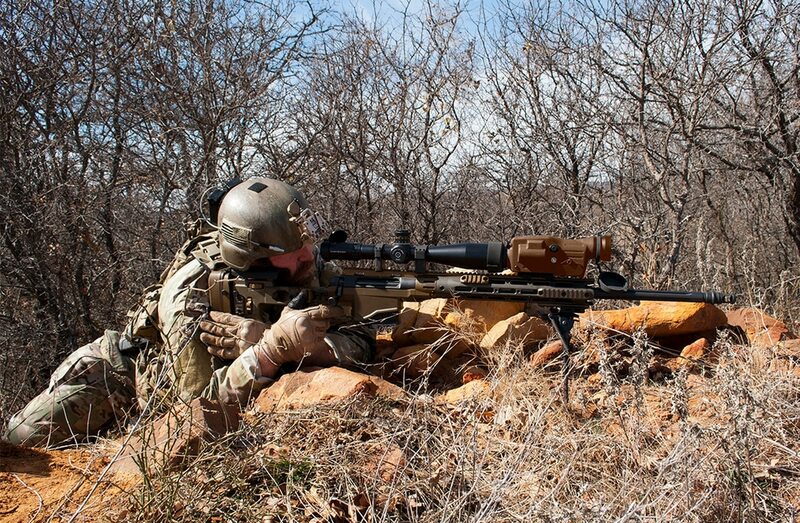 Technologies like the Leonardo DRS handheld Joint Effects Targeting System is a smaller next-generation EO/IR technology giving forward observers the ability to protect their fellow soldiers with extremely accurate calls for fire. 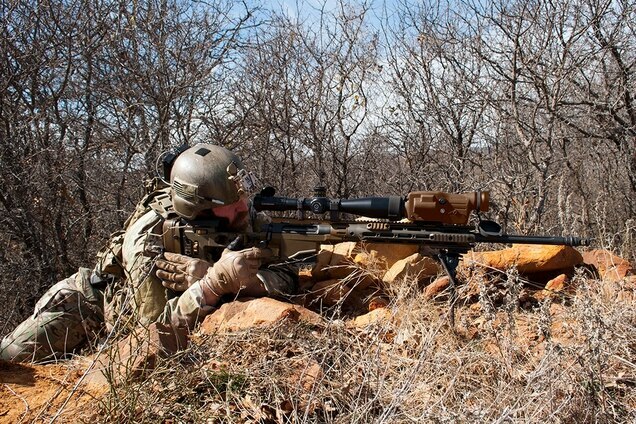 The Improved Night Observation Device (INOD) thermal weapon sight provides degraded environment and night/day visibility for missions requiring extended target detection and identification ranges while also enabling observation of environmental indicators and bullet tracking for improved down-range accuracy. The U.S. military is keeping ahead of the evolving threats by modernizing its forces and incorporating these advanced defensive protection capabilities to give its forces the edge they need to complete their mission. This article was produced by the creative services department of Defense News in collaboration with Leonardo DRS. The Defense News newsroom was not involved in its production.